I recently acquired a new must have: the Lorac Pro Palette! This baby is gorgeous. I’ve had my eye on it for a few weeks and finally decided it needed to be mine. I’ve only seen it in store a few times. The day I went to pick mine up, it was out of stock so I ordered it from Ulta. This palette is a must have for me. I can accomplish so many looks from one versatile palette, which totally cuts down on what I need to carry in my kit. The colors are all fantastic and all have great pigmentation. The top row houses matte colors ranging from white to black, with the bottom row in all sheer shimmer colors. Basically the essentials to build anything. I’m in love. I’ve used this palette to create a variety if looks. Soft bridal looks can be achieved by using the pink, mauve, espresso, white and cream colors. While the deep purple, black and espresso colors can be used to create a slightly more dramatic look. I’ve even used just the different shades of brown to smoke out my eye for that perfect Kim K look. Not only is this now an essential to my kit, it’s also an essential to my personal makeup bag. I would highly recommend checking out the Pro Palette next time you’re at Ulta. Oh and word on the street, the lines now available at Kohls. 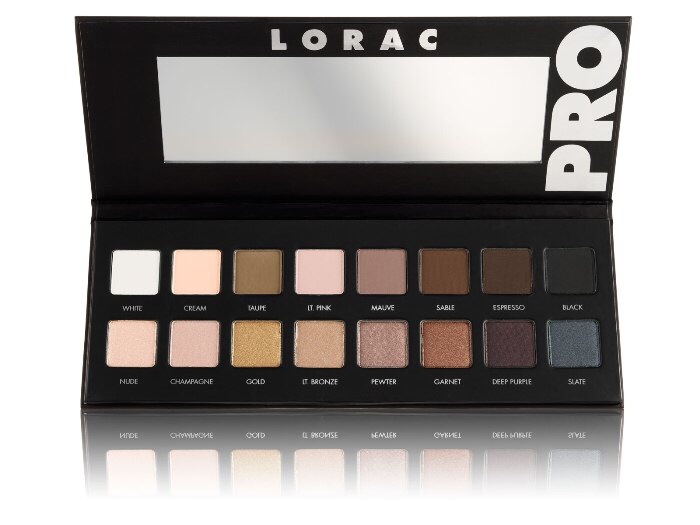 The Lorac Pro Palette retails for $42- best price ever! Check it out and make sure to let me know what you guys think in the comment section below!